ESPN is to boost its mobile phone service with new Formula 1 and cricket apps, plus a revamped Premier League goals service for smartphones. The Disney-owned broadcaster will move into new territory with an ESPN Cricinfo app in time for the cricket World Cup later this month. The app, which will be available on iPhone and Android handsets, will feature live scores, wicket alerts and match reports. It will also relaunch its popular ESPN Goals service, which has exclusive mobile rights to show all Premier League highlights and goals until 2013. 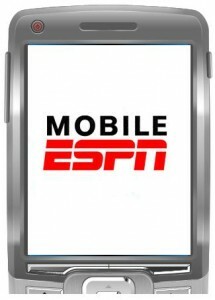 ESPN’s complete video highlights service will cost £1.50 (€1.77) a month for Android customers, or £1.75 on the iPhone – a significant drop in price from the current £3.99 a month subscription plan. A new Formula 1 app for iPhone, Nokia and Android smartphones is also on its way, in time for the Formula 1 season which starts in Bahrain next month.